What Casino's spread Poker in Saskatchewan? - Casino Answers! Casino Answers » Poker » Live Poker » What Casino’s spread Poker in Saskatchewan? If you are based in Saskatchewan, you have a few options for casinos to play poker at, depending on what part of the province you are in. Many of these casinos are run by the Saskatchewan Indian Gaming Authority and are often located on reservations. In addition to poker, you will also find table games, video poker and slot machines at the casinos as well. 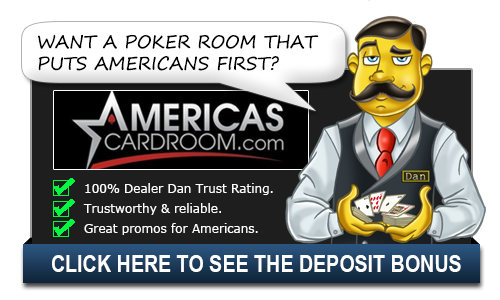 Canadian players can also play poker online at Doyles Room. Doyles Room is hosted by 10-Time WSOP Champion and poker legend Doyle Brunson, who actually plays at the poker room. Doyles Room offers over $6 million every month in guaranteed tournaments, so if you are a tournament player, the best place to play is at Doyles Room. Bear Claw Casino is located in Southeast Saskatchewan on Highway #9 in the White Bear First Nations Reserve. It is both a casino and hotel. Its hours are 9am to 1am from Sunday through Thursday and 9am to 2am on Friday and Saturday. Bear Claw Casino has one poker table. For more information on Bear Claw Casino, click here. Moose Jaw, Saskatchewan is home to Casino Moose Jaw. The casino is located on 21 Fairford Street East. Casino Moose Jaw is open 7 days a week. Their hours are 9 am to 2am from Sunday to Thursday and open until 3am on riday and Saturday. They have one poker table, in addition to 3 blackjack tables and a roulette table. For further details, please visit the visiting their website. If you’re in the Prince Albert area, you can find the Northern Lights Casino on 44 Marquis Road West in Prince Albert. The casino is open 7 days a week from 9am to 4am. The Northern Lights Casino has two Texas Hold’em tables as well as 3-Card Poker, Caribbean Stud and Let It Ride tables. For details on promotions, events and everything else offered, please visit the Northern Lights Casino website. Casino Regina is open every day from 9am to 4am. It is located on 1880 Saskatchewan Drive in Regina, Saskatchewan. It is the largest casino in Saskatchewan, offering 20 poker tables to choose from on its 100,000 sq ft gaming floor. Casino Regina offers weekly poker tournaments and annual poker tournaments – The Station Poker Classic and The Harvest Poker Classic. For more details on the casino, you can find out more on Casino Regina’s website. Living Sky Casino is on 1401 North Service Road in Swift Current, Saskatchewan. It is open on Sunday to Wednesday from 9am to 3am and closes at 4am on Thursday through Sunday. The table games are open from 4pm to 2am every night. There is a free shuttle offered from Moose Jaw and Medicine Hat to the Living Sky Casino in Swift Current. There is one regular poker table and a Texas Hold’em bonus table. For more information, please visit the Living Sky Casino Website. No Limit ($50-$200 Buy in) and $2-5 No Limit ($100-$500 Buy in). There are also Sunday Poker Tournaments that begin at 6:15pm. For more details on Dakota Dunes Casino, please visit their website. Painted Hand Casino is located on 510 Broadway Street West in Yorkton, Saskatchewan. It is a 43,000 sq ft facility with a gaming floor, restaurant and snack bar. It is open from 9am to 3am on Sunday through Tuesday and until 4am on Wednesday through Saturday. Live games run from 1pm until 2am on Sunday through Thursday and until 3am on Friday and Saturday. There is one poker table and one Texas Hold’em bonus table at the casino. For more information, please visit Painted Hand Casino’s website. If you’re unable to make it to any of these locations, you can always play online poker from the comfort of your own home at Doyle's Room.